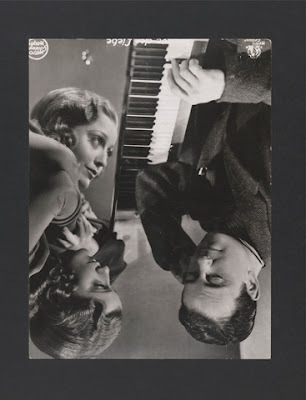 Photography is a medium that conceals, even as it appears to show us everything and John Stezaker brings that fundamental quality of elusiveness out into the open, making it explicit. He functions covertly in those unconscious pathways that images lay bare, forging connections that trouble and beguile. His practice is a distinctive form of collage that seems at first to be hardly worthy of the name; images merely overlap each other, two or sometimes more, often cut at angles and others straight across. These simple gestures soon reveal themselves to be hugely resonant. The collision of different photographic histories, with a kind of delicately orchestrated violence, is his trademark. In these works the whole image acts as a surface or a screen and cannot be decomposed into its elements – there is instead a vocabulary of photographic codes, a set of assumptions about how the medium works that we use to negotiate the space of photographs and these are in no way self-evident. Yet there remains an implied certainty as to what a photograph might depict. We don’t actually confuse photographs with reality, but at the same time knowingly permit them to stand in for what we expect to be real. All photography is a kind of abstraction – its codes are not about reality, but in fact are a reality. Stezaker shows them to be fractured and deceptive, psychologically fraught – hierarchies of meaning that open into fault-lines. These breaks are literal, of course, he physically cuts the image, but they are also figurative, to do with the fictive visual space of photographs, a continuity that acts as a real space. These illusions are maybe as much cultural as they are perceptual or material, but Stezaker’s work depends on a deep understanding of how the specific presence of the image shapes our reading of it. A raw material for his he work draws on a vast amount of photographic ephemera from that precise moment up to and around the mid 20th century when strategies of mass communication had just begun to categorically redefine our social landscape. This is the golden age of picture magazines and movie starlets; new kinds of photographic reality begin shaping the culture – we now definitively lived (and saw ourselves living) in the images that we made. Of course, this is no coincidence. The questions that are most pressing for Stezaker deal with how a given image might fail the experience it depicts, rendering it ineffably strange, and the way in which that strangeness is not just a quality of the medium, but a fundamental disorder implicit in the social structures we inhabit. He quietly interrogates the pervasive assumptions – psychological and political – implied by photographic representation. Stezaker’s response is not theoretical, however. Instead, it is practical, destroying the coherence of images to open a filmic reach of unrealised desire, the endless blind stream of pictures falling into and out of our lives. He deals with photographs as agents of unexpected complexity; they become fields of engagement. The “abstraction” of a photograph is as much temporal as it is visual, each lost moment receding from an unimaginable future. Meaning adheres in the codes that determine how a photograph is read and not in a causal link of reality and representation. The specific materiality of an image is broken into a number of discrete elements and then combined in one of several different ways, but his methods are in no way illusionistic. The image is forcibly dematerialised; or rather our reading of the image is driven back to how the qualities of the material determine our understanding of the image as a bearer of content, an unstable system of references. Breaking that surface tension renders it, somewhat perversely, impenetrable, and so beyond whatever expectations we might have concerning a photographic reality, while at the same time being explicitly about that same question. The tense dialogue between individual collaged elements of his work is a chain reaction that negates every pure reading of how an image might work; meaning is not only rendered conditional, here it is actually set adrift. These gestures that confuse the stable dimensions of photographic reality fall into a number of different categories, all related to the same basic vocabulary and each with its own particular effect on how the “new” image will be read. What they have in common that is that they seek to provoke some failure in the continuity of depicted space, which is both visual and psychological, an unravelling of the photographic code caused either by brining two opposing images together or by cutting into a photograph to expose the image he has placed beneath it, in a literal (but often dazzlingly effective) act of rupture. Cutting into the photograph emphasises its surface, as a perceptual fact (where the image adheres) and a metaphor. 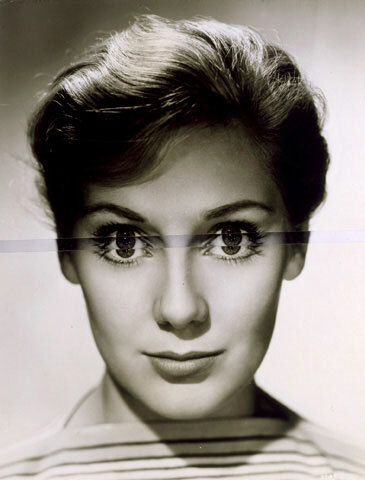 This certainly relates to the repeated use of films stills in the construction of Stezaker’s work. These images already form a surface or a cultural screen for a collective psycho-social dynamic and deconstructing that fictive space is really the core of his work. The projected (or rather, performed) images of cinematic narrative become an interior projection, a dream-life for the society that created them. He systematically excavates anxieties and contradictions having to do with gender roles and political structures, forces that shape the landscape of contemporary life. 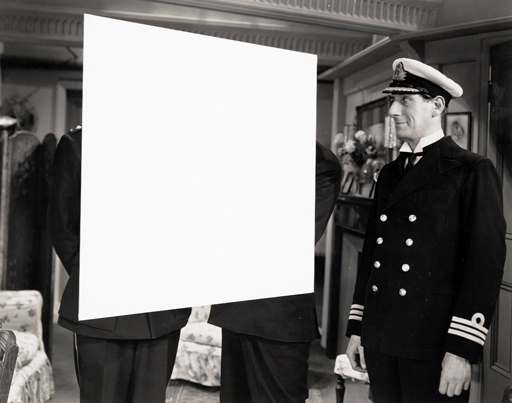 It is arguably because cinema is so obviously about how we would like to be seen – or see ourselves – that they have provided such an important resource for Stezaker’s meditations on the complexities of perception, on the images we fashion and, with a kind of recursive density, that in turn fashion how we live. 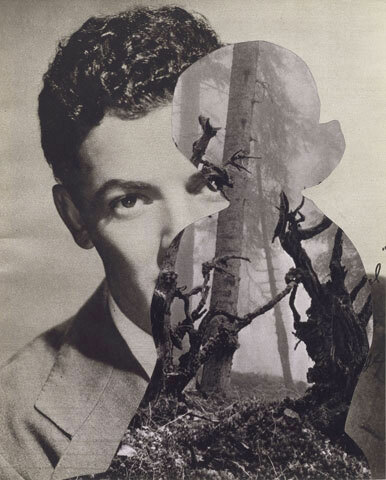 There are a number of specific themes that reoccur, all of which are realised in tandem with (or under the rubric of) Stezaker’s well established repertoire of collage techniques. 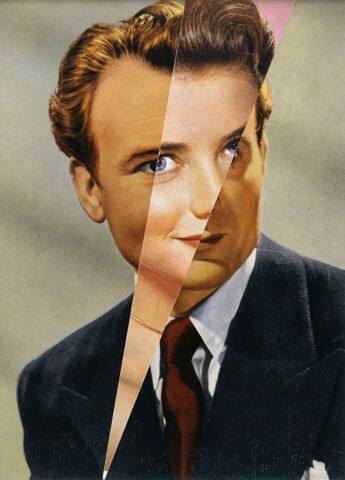 It is this especially dynamic relationship between the process by which his work is realised and the conceptual heft of its effect that makes Stezaker such a significant artist. In the series entitled Marriage a diagonal (or sometimes vertical) cut through a standard actor’s head-shot results in a profound and often disturbing blurring of gender lines when the resulting fragment is precisely aligned with an opposing image to form a new hybrid face. These images do not always depend on a male/ female pairing, but in each case a pernicious confusion of identities is suggested, including those having to with gender and how it is socially (or rather, visually) articulated. The point is that changing the image creates a new – if impossible – reality, one our normative expectations of the medium cannot reliably contain. Stezaker’s framing of this work with such an obviously loaded title only serves to further underscore the thematic issues that are in play. He forcefully suggests that what is real exists right at the edge of our capacity to make it visible, and must instead persist as a deep absence in every attempt to do so. In some cases this absence is a literal one, cut directly out of the photograph, collapsing that space. The excisions form an alternate (and unexpected) narrative from the image, one at odds with how it might have been read before; once again it is a material intervention that reveals an otherwise unseen force in the currency of images, having to do with the exchange of meaning. Stezaker’s title for this series (Tabula Rasa) is no doubt a typically astute reference to everything that he has shown photographic reality not to be – and with such an effortlessly minimal gesture. This near forensic study of the photographic medium is of consequence partly because these images are an analogue for the assumptions we make about reality itself. Stezaker knows of course that we do not treat photographs as being interchangeable with their subject, but that through a system of representational codes read the image as if it was nothing more than what it is a picture of, as though the image was a screen and not explicitly a kind of material (or cultural) surface. It is through wilfully complicating that expectation of a screen-like transparency that Stezaker’s work reveals itself as being very much about how those codes might fail, in turn showing the covert architecture that allows them to function, throwing our focus back to that ever-shifting distance between the world and whatever image we might have of it. His forced exchange between the photograph and the act of reference itself is at heart a philosophical question having to do with the reality effect of images, how photographs might exist more to validate appearance than to challenge it. 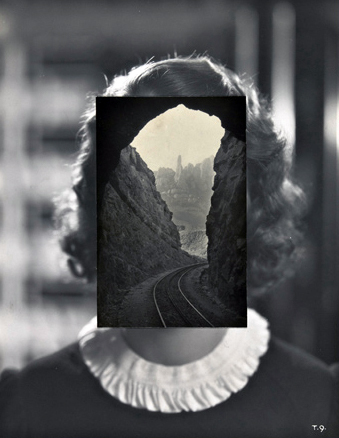 In this way Stezaker’s interventions, his cutting into or across the image, aims to openly provoke a reality that is of an altogether different order than that of the photograph itself, an unstable, often perverse reality that our expectations of the medium will not always permit to become visible.